This lovely 1930s Art Deco piece has the patent number belonging to E.A. Phinney (1852188), issued on April 5, 1932 of Rhode Island's Fuller & Son company. 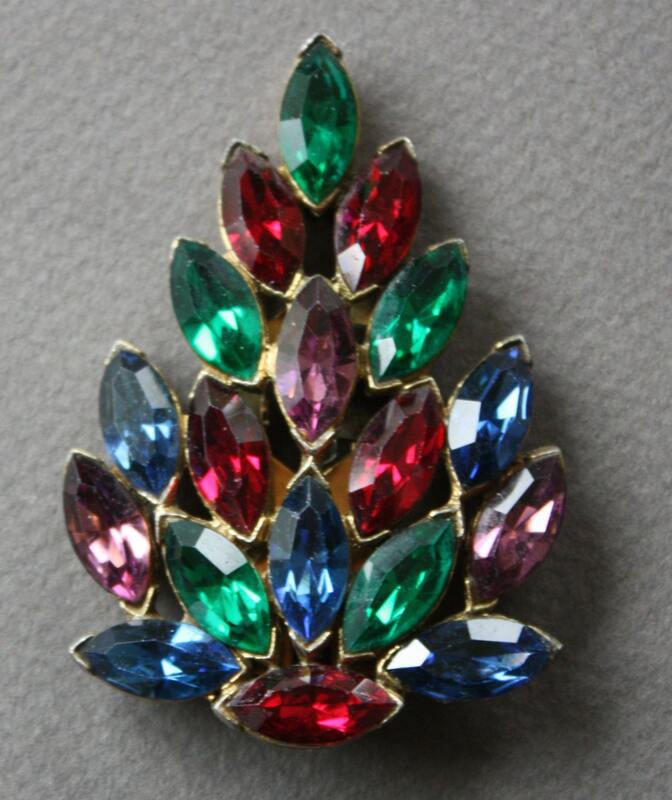 The jewels are faux and are red, green, purple, and blue. 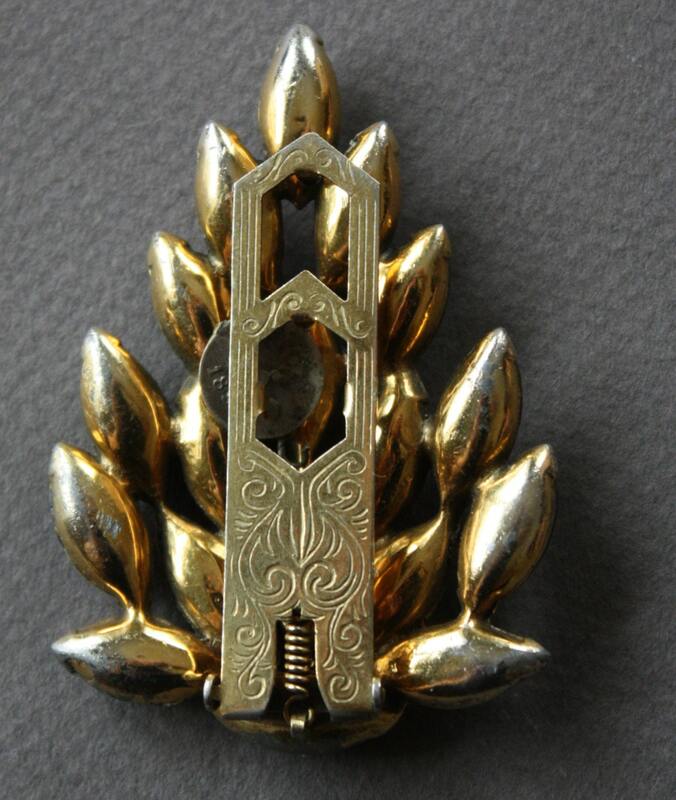 The back of the clip is art in and of itself with the fancy etching. The clip is approximately 2.50" at its longest and 1.50" at its widest.